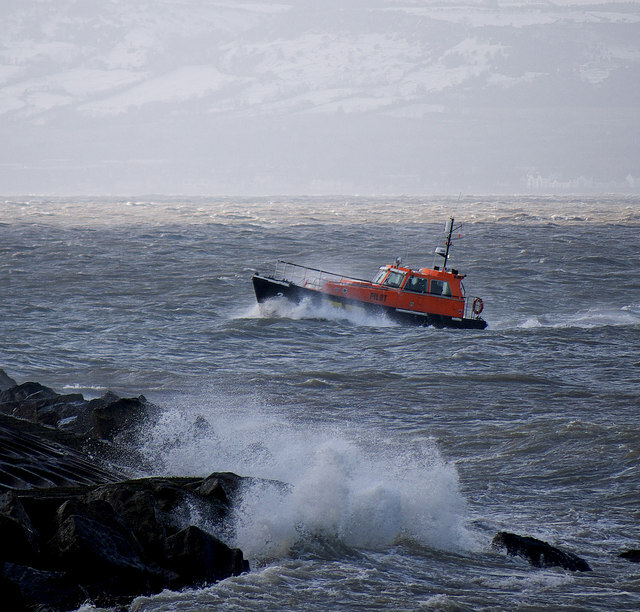 Due to severe weather conditions in Belfast Lough from the 22nd-24th March 2013, particularly gale force easterly winds, a large number of ships were unable to dock and sought shelter off Bangor. A further consequence was that the Belfast harbour pilots were forced to use Bangor as a base for boarding Belfast bound vessels. Here the pilot boat 'PB3' Link is returning to Bangor after landing a pilot onboard the 'Fri Brevik' J5082 : Ships off Bangor. The Eisenhower Pier is on the left.